Why Patti Smith is one of the most inspiring artists of her generation- in 13 quotes. 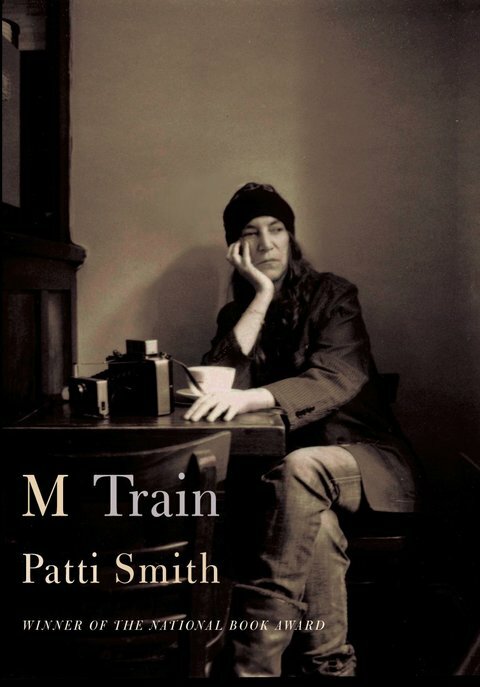 The cover of Patti Smith’s new memoir- M train. Yesterday, Patti Smith, poet, writer, singer/songwriter known as the Godmother of punk, talked at the Guardian Live Q&A event in London about her new book, M Train. She was asked very interesting questions by the interviewer, and by the audience. She surprised everyone at the end of the interview by singing three songs with the guitarist Lenny Kaye on acoustic guitar, and with the audience clapping loudly instead of beating drums (Note the interviewer nearly messed up by giving away the surprise at the beginning of the Q&A). Of all the questions and answers that evening, which you can probably watch again or read on the Guardian website, here are some of the most interesting/inspiring Patti Smith points that stuck in my ears. For any aspiring artist, or aspiring individual, Smith can give hope and belief. A belief in dreams. Have a read. On why poets and detectives are more similar than we think. “Poetry requires obsessive concentration. All these thoughts process happening, arranging a puzzle of words to get to the punch line. Detectives are having all these thoughts process, solving a puzzle, to get to the killer. (….) Yeah. I could be watching detectives’ shows right now. I scarified my night with ITV 3.” (Laughs). What would I tell my younger self? “Be more considerate of people-specially my mum”. Like what you're reading? Sharing is caring. From JK Rowling to Ellen: Four of the most influential and inspiring women today. Nadine Khouri: From Beirut’s war child to London’s most soulful voice- The interview. ← Three scariest ways to spend your Halloween in London.